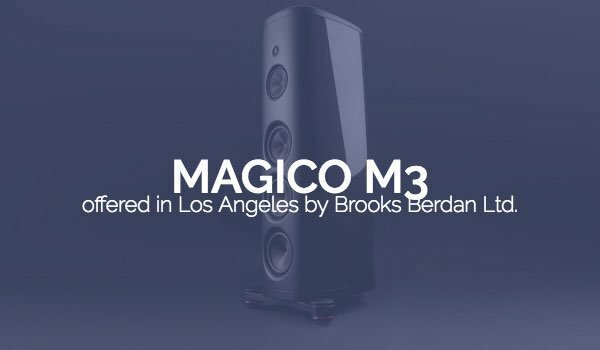 Magico M3 – Brooks Berdan Ltd. 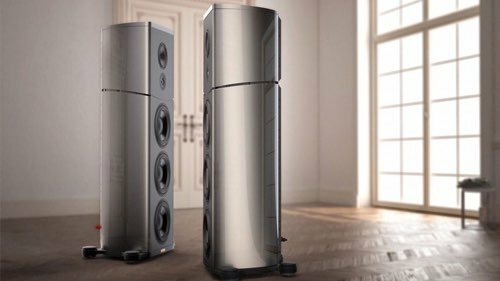 Schedule a time to listen to Magico M3 loudspeakers in our Los Angeles area showroom. 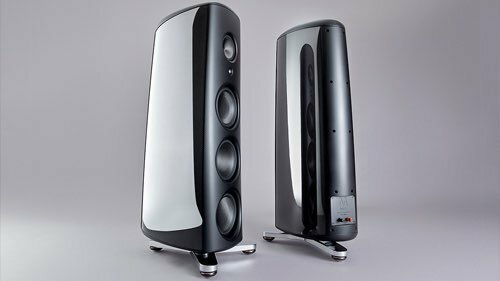 In 2014 the introduction of the limited edition M-Project provided a glimpse of the cutting edge designs and advanced technologies that were being developed at Magico. Over the past two years intense research has been dedicated to exploring new methodologies and materials which are now incorporated in the Magico M3. A new carbon fiber side panel design, an all-graphene midrange and bass driver design, and the phenomenal 28mm diamond coated beryllium tweeter, previously found only in the M-Project, all come together in what is the most sophisticated loudspeaker we have ever created. 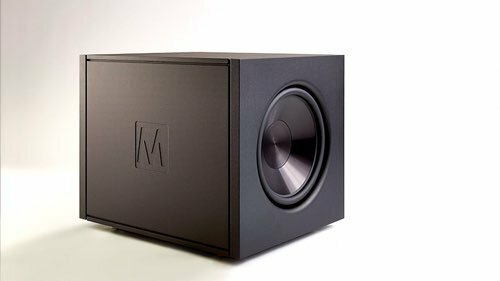 An internal three-axis matrix framework in the M3 contributes to an extremely rigid enclosure and eliminates unwanted resonances and colorations, allowing all drivers to perform with stunning resolution and dynamics. The M3 midrange driver operates in a purpose built sub-enclosure made of a proprietary polymer that enhances midrange control and articulation. This sub-enclosure concept was first used in the S3 and is now applied to our more recent 3-way speaker designs. The M3 incorporates the Diamond coated Beryllium diaphragm tweeter (28-mm) used in the MPro. 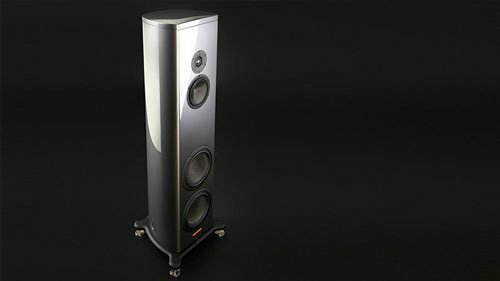 The optimized geometry and the Diamond coating on the Beryllium aligns the acoustical properties closer to perfection without adding extra weight of a full Diamond dome, this revolutionary tweeter design offers a near perfect weight to stiffness ratio that is unmatched in the industry. 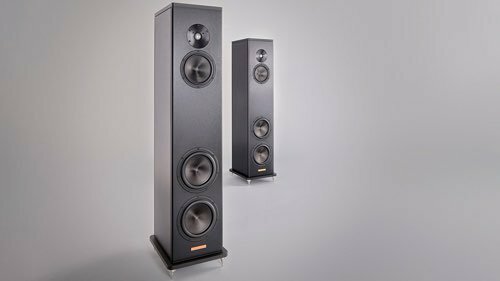 The new tweeter provides extra-long excursion movement and uses a neodymium based motor system that is customized to match the sensitivity and power handling capabilities of the M3 while maintaining ultra-wide dispersion characteristics and ultra-low distortion measurements. 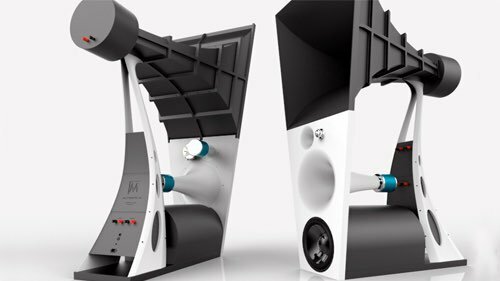 Magico is the world’s first manufacturer to utilize graphene in the development of a radically new and advanced loudspeaker cone design. Graphene has many extraordinary properties and is approximately 100 times stronger than the strongest steel. The newly designed Magico six-inch midrange and seven-inch bass driver cones found in the M3 are both manufactured using Multi-Wall carbon XG Nanographene and an ultra-stiff proprietary new carbon weave which is 20% lighter and 300% stiffer than previous cone material we used in Magico loudspeaker offerings. Three seven-inch M3 bass drivers are vertically aligned to achieve ideal room integration and reproduce the lowest registers of bass frequency with speed and accuracy. The M3 bass drivers are optimized for minimal music related distortions in the frequency and time domain using the latest state-of-the-art FEA simulation. A contributing element to the stunning overall sound performance of the M3 is the application of the MPOD. The MPOD is based on the scientific principles of Constrained Layer Damping (CLD) which are well documented and in our opinion, the most effective way to channel unwanted vibrations away from a component and its platform. Operating under massive weight the MPOD is a noise channeling system that effectively dissipates resonance while maintaining ultimate coupling properties to the floor resulting in remarkable sonic results. M3’s ordered with the MPOD 3-Pt Stand come with a beautifully appointed case that includes six MPOD’s and a professional grade torque wrench that allows for periodic maintenance of the internal tension rods. Hi-Fi+: "My time with the M3 was all too brief, but it had a profound effect on me, and it should be heard by one and all to make that effect more commonplace. 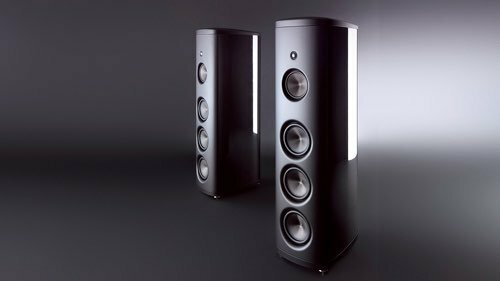 It was clear from the first bars that this is one of the most important loudspeakers I’ve reviewed recently. OK, so an almost £100,000 loudspeaker limits the significance of that statement, in the same way as what happens in the most important Ferrari isn’t as significant to most people as what goes on in a new Fiat. 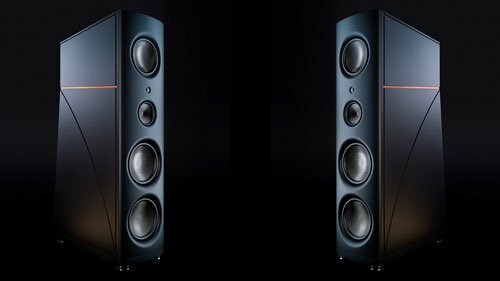 But, another way of looking at this is a product like the Magico M3 throws down a gauntlet to the rest of the audio industry. It says loudspeakers can be made with lower distortion than hitherto thought possible, and shows a way it can be done. Right now, those who benefit are those who have the depth of bank balance to cope, but it sets a standard that extends above and below that lofty price tag. 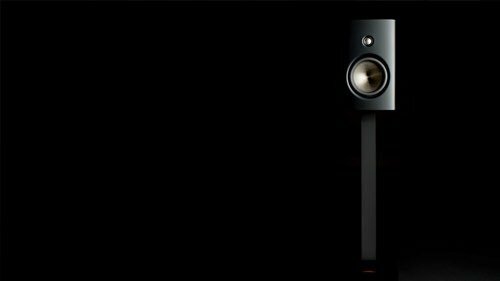 It means, loudspeaker makers don’t have the excuse to dismiss distortion-laden designs anymore. And that will have a trickle-down effect, both within Magico’s own line, and without. Other makers will be forced to rise to the challenge. 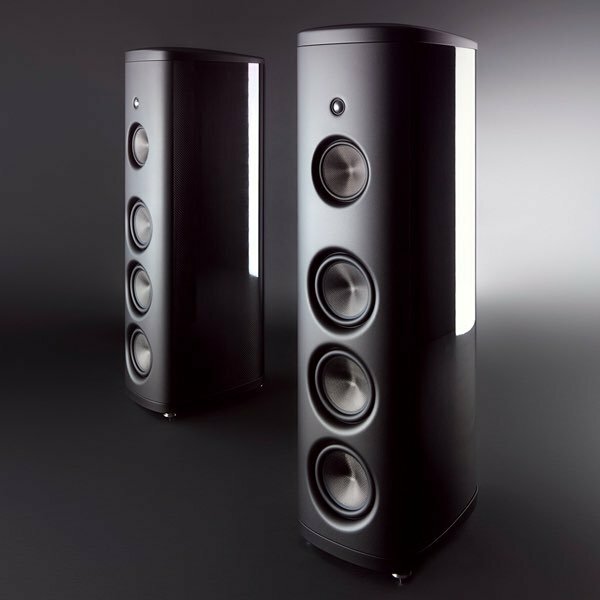 And that makes the Magico M3 deserve the highest recognition and recommendation!" 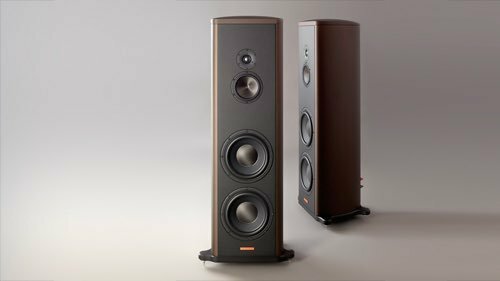 The Absolute Sound: "All told, the M3 is the most exciting new product from Magico since the revolutionary M Pro, whose legacy it continues and, in many important ways, improves upon. For those of you hungering for the virtually un-obtainable Pro (only 50 pairs of which were built, most of them pre-sold), Wolf and Co. have finally provided an option that can be listened to and purchased. 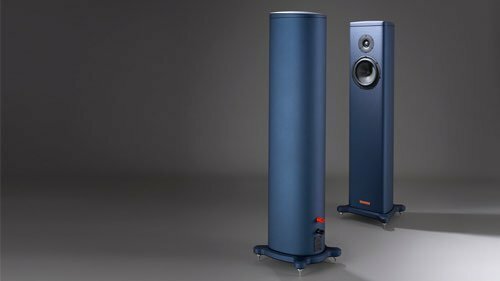 Whether you’re in the market for such an expensive item or not, this is a loudspeaker you need to hear—something wonderful made better. I will have a full report on the M3 when I receive review samples." The Absolute Sound: "Obviously the M3 gets my highest recommendation. 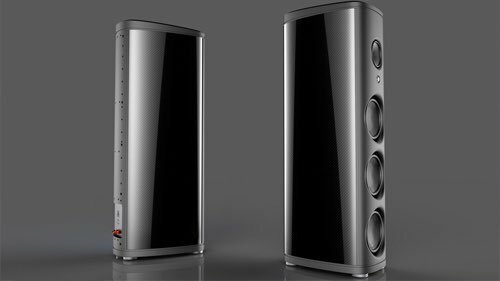 It is as good a dynamic loudspeaker as you can buy. Do remember, though, that to elicit the very best from one of the most accurate and realistic transducers on the market you’ll need electronics that are just as high in resolution and as low in distortion/coloration as the M3s. In my experience that means something solid-state from the Swiss contingent (i.e., Soulution or CH Precision) or from the best American marques (Constellation, D’Agostino, etc.). I haven’t tried the M3s with tubes, but Magicos typically don’t fare as well with glass bottles as they do with silicon semiconductors (Convergent Audio Technology being the exception). All of this means that M3s aren’t just a loudspeaker purchase; they are a system purchase (including cabling, BTW). In other words, they are for the wealthy."